Hey web developers.Here is a new task for you.If you completed any of my tasks in the past then you might know how I reward but if you didn't then just do not think about it because this time its different and coming with extra.I need a freelancing site.So if you think that you can create one and it matches with my budget then please let me know. 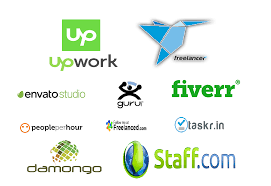 And remember that if your service is satisfying and helpful then you need to create a few more freelancing sites for me.And the revenue will increase in every next projects.But remember, only offer if you are capable and can work according to my budget of this project. And be sure that,if I am satisfied with your work then this will not be your last task from me. Must be skilled in web development. hi, i can see that you need a freelancing site. previously i have completed same project. i have experience in web design and can offer exactly what you need. i will be very honoured to work with you. you can view some of my projects on github.